Guru® is the Sanskrit word for teacher, and with this mattress - we learn the art of sleep. 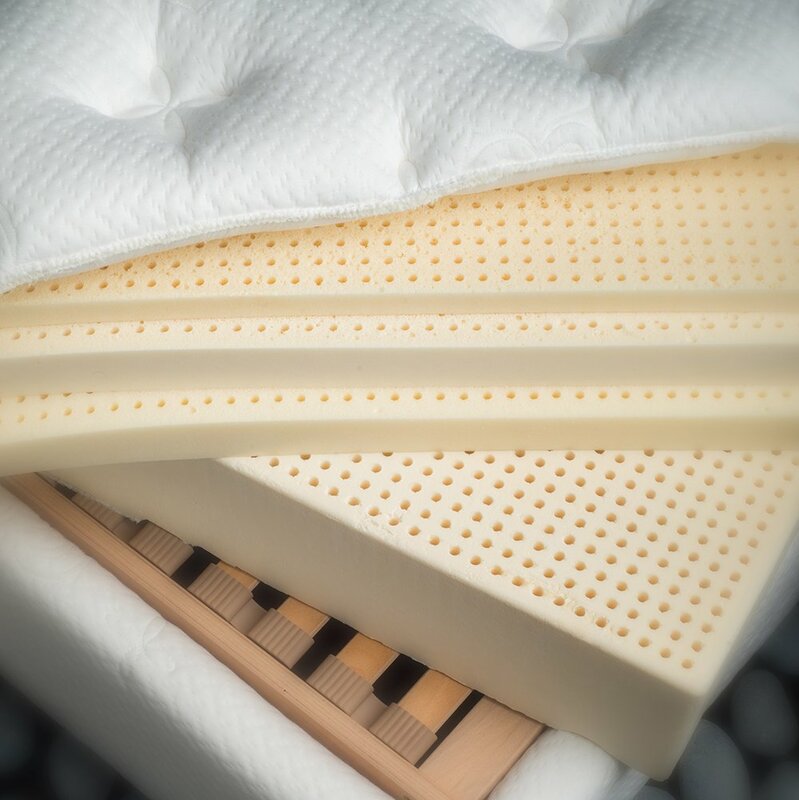 Layers of all natural Talalay, pure wool batting, silk, organic cotton, and cashmere ticking, combined with a German-made bowed beech-wood slat system creates a sleep surface designed to please the most discerning and discriminating sleep enthusiasts. Guaranteed for 10 years, Warrantied for 20 years. The finest natural latex imported from the Netherlands. 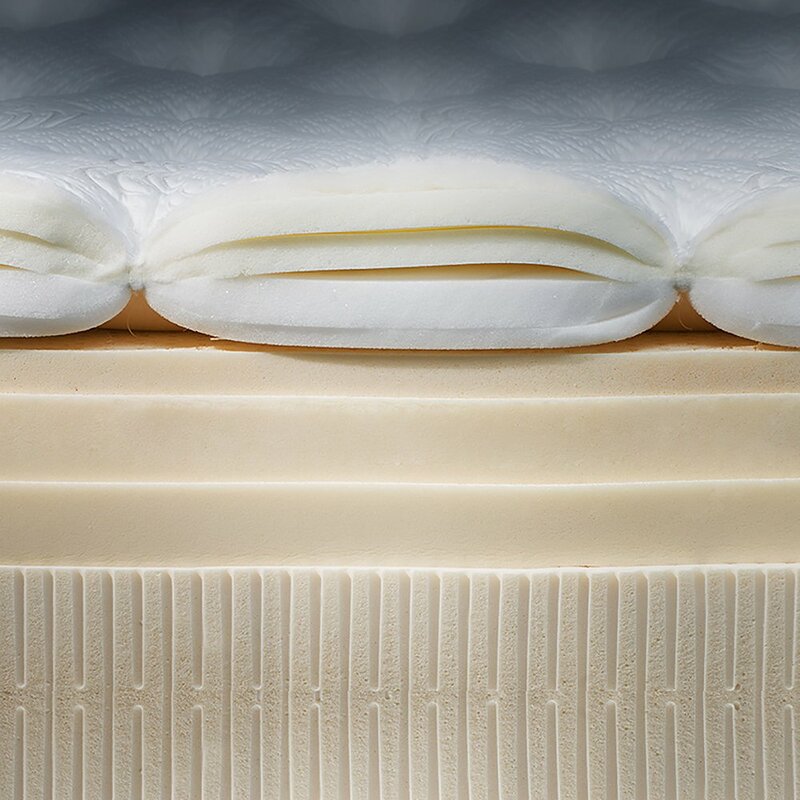 Layered densities of the finest natural latex imported from the Netherlands in varying support levels. 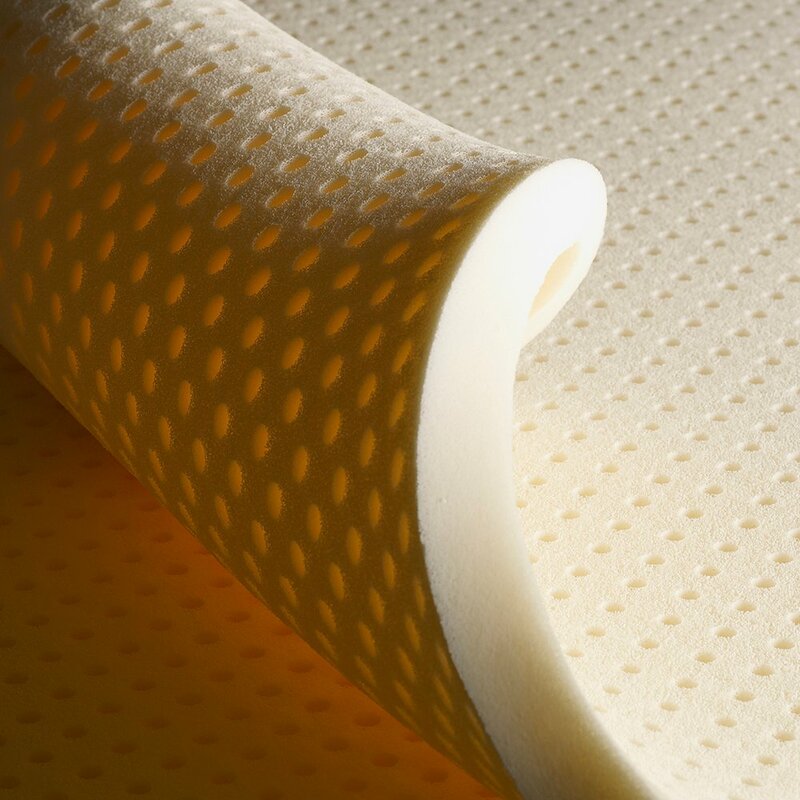 Luxurious top layer containing 100% natural Talalay latex, wool, silk, organic cotton, and cashmere. We were looking for the best mattress in the market. At City Mattress we found the one, which was Prana Sleep Om Guru Luxury Plush Mattress. Salesperson was very knowledgeable and answered all our questions. He even said there is no mattress left to upgrade from this one should we not be satisfied. After about six months we would not even think about changing our mattress. And it is 100% natural latex.!!!! no springs!!! great for our backs and hips!!! I was in the United States Air Force for over 6 years and was injured on duty. I now have a very severe back and neck problem that requires me to take morphine 3 times a day. I am in pain most of the day, so my saving grace was going to bed where everyone should feel comfortable, however I was never comfortable in bed. We started with an innerspring mattress from a discount store but within 3 months there was a large divot in it all the padding was matted down and I could feel every spring in my back and neck causing great discomfort, a lack of sleep, and a grumpy husband and father. Then we moved onto the self-proclaimed miracle mattress the sleep number bed. I thought my sleep problems were over, but they were worse than ever. This thing was a glorified air mattress. It had no side support it felt like I was balancing in bed to avoid falling off the edge and it felt like a cheap air mattress with no real support.Finally my wife insisted we go to City Mattress and try one more time because I was about to give up and wasn't going to get another good night's sleep. Our salesman walked us through the different types of mattresses and exactly what was causing my discomfort in each of the beds we had tried. He told me he had a solution for me though. All I thought was another salesman trying to sell a product. He said that in fact he had suffered lower back pain and purchased a PranaSleep mattress himself and ever since has urged anyone with back or neck discomfort to purchase one. He said he had never received a complaint from anyone who purchased a PranaSleep. So I agreed, hoping for a miracle. The City Mattress delivery crew dropped it off and I was a little alarmed at the odor but it quickly dissipated. That night when we went to bed I said a little prayer and fell asleep. The next day I didn't wake up until noon - sleeping a full 14 hours!! I was hoping for 5-7 hours with only waking up once or twice. I didn't toss and turn and I didn't wake up once. 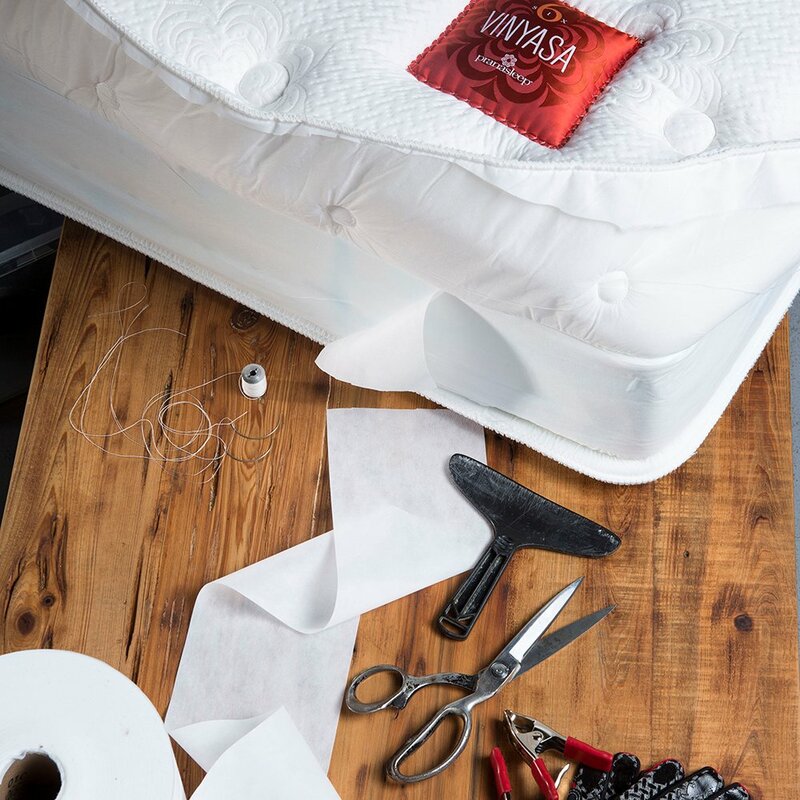 Finally a mattress that delivers what it promises. I recommend PranaSleep to everyone I know regardless of ailments. My parents are going to pick one up because they have back pain as well and I know they're going to love it. After making a mistake in purchasing a sleep number bed we found the Sleep Number store's customer service to be uncooperative and their product did not fit well with our needs. We absolutely L-O-V-E our PranaSleep Bed!